The Victorian Conservatory is classically styled and recognisable from it’s three to five faceted roof line. From the inside, the Victorian Conservatory offers an interesting ceiling shape that is a delight to behold. 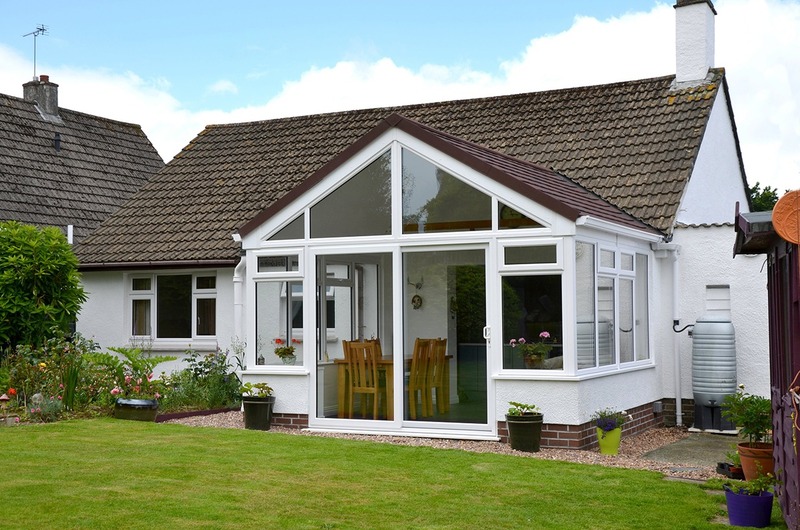 With multiple options for door positioning, this is one of the most popular and versatile conservatory styles available. 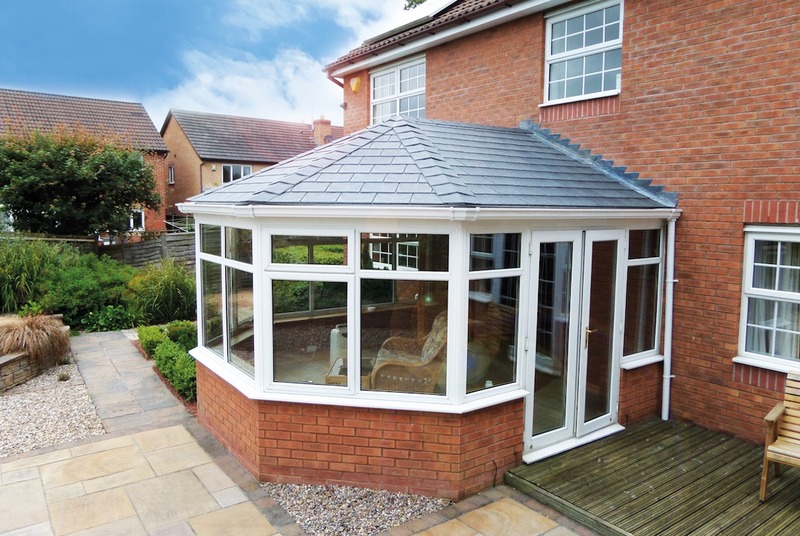 Your new Guardian™ Warm Roof will allow you to enjoy the views from your Victorian Conservatory for many years to come. The Edwardian Tiled Conservatory Roof is a traditional and classical shape with fantastic styling and convenience. Due to it’s simple shape the useable space is maximised. The Edwardian style is recognisable from it’s simple linear shape and three sloping roof sides that join the ridge that abuts the main wall of your home. Once your replacement Guardian™ Warm Roof is installed, you will be able to enjoy all the benefits of this simple but effective style in year round comfort. 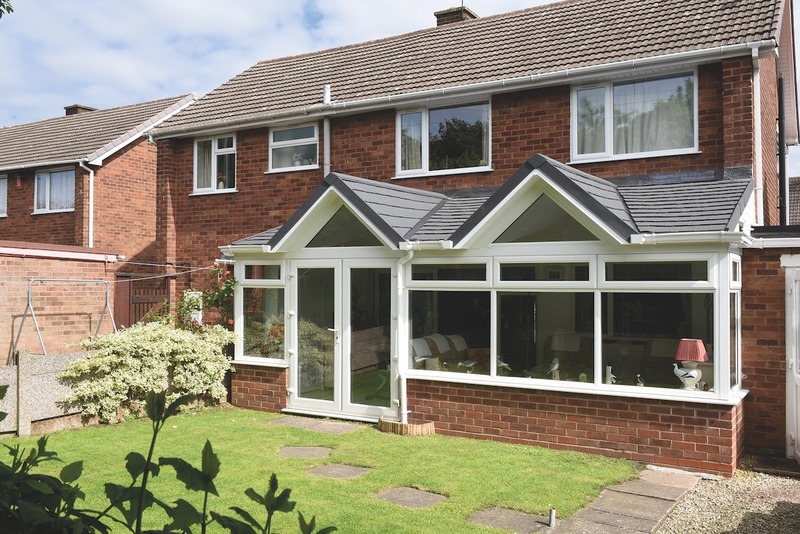 The Gable End conservatory is recognisable from it’s flat front and two sloping roof sides. The highest point of the roof starts at the main wall of your home and continues to the outermost wall of your conservatory. Many Gable End conservatories include a series of glazed panels to form a triangle above the door/window line allowing additional light to flood the space. In some cases this triangle window inlcudes arch detailing for a traditional look. 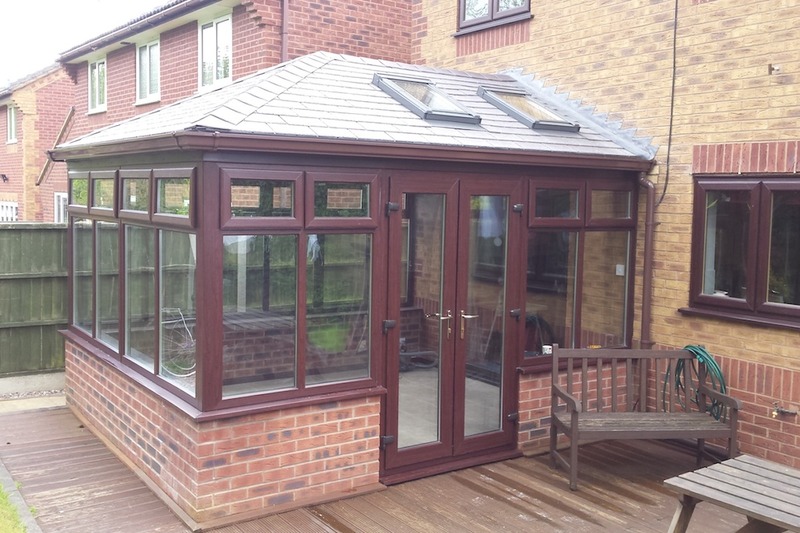 If you have a Gable End Conservatory, we have a Guardian Warm Roof™ to fit! The Lean To Conservatory Style has a simple lines and is a great way to maximise space at the back or side of your house. With a simple slope towards the main wall of your home, the Lean To Conservatory can also have a hip (slope) at one or both ends. 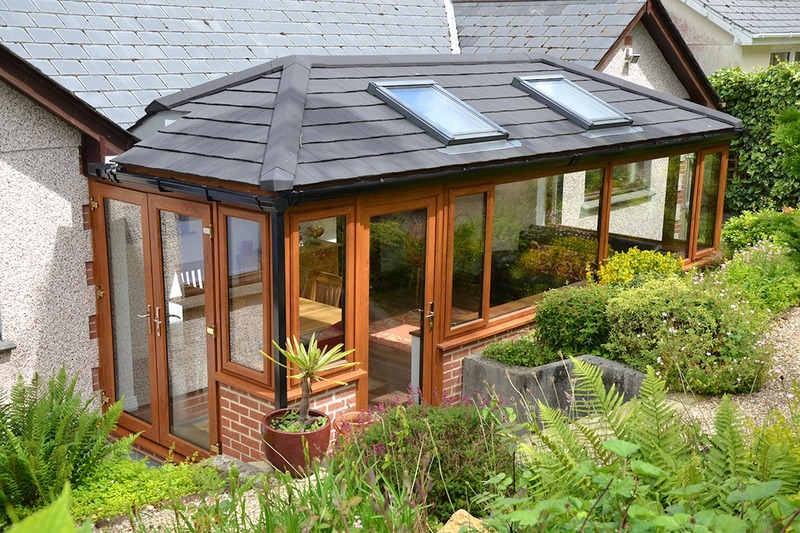 The double hipped conservatory is recognisable by four sloping sides and a central gutter between the conservatory and the house. This style is often chosen to suit a single story home or in a situation where there is not enough height below the house windows to fit an alternate style roof. With a replacement Guardian™ Warm Roof you can ensure that plenty of light floods the room below. If your conservatory has been designed and built in a way that doesn’t fit into any of the more popular or standard styles detailed above then we will need to visit you prior to providing a quotation. 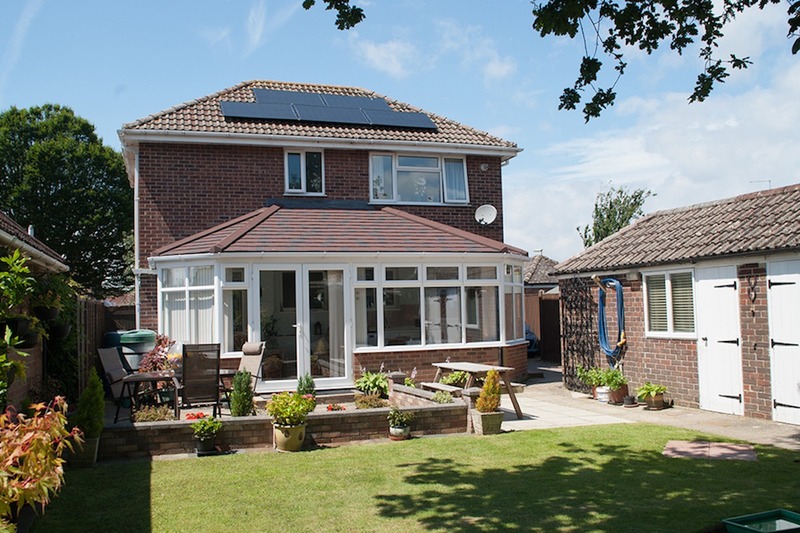 Due to the flexible nature of the Guardian™ Warm Roof system, we can work with you to provide a bespoke solution. Enhance the beautiful design of your bespoke conservatory with a replacement solid roof and enjoy your conservatory whatever the weather.